It has often been said, You Are What You Think You Are. Whether or not you entirely believe that, it goes without question that the mood you are in, your current state of mind, affects your approach to things, your commitment to the task at hand, and your outcomes. Learning how how shift your mindset, adjust your current thinking and attitude, will give you a more positive approach to your work and, therefore, a stronger likelihood of success. 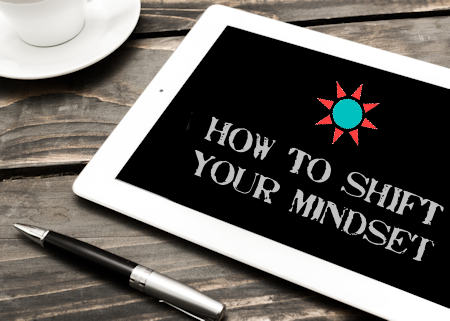 How to Shift Your Mindset has five main modules of five lessons each (16 lessons), including approximately an hour and ten minutes of power-packed videos (ten in all), and three bonuses as shown below. TIKAL ME courses like this one are designed for self-study and allow you to work at your own pace. You get full, immediate, access to all the lessons, bonuses, and other materials (no dripped content), and you can return again and again as often as you like to review, continue, or repeat your study. Note also that purchase of this course conveys TIKAL ME Silver Level Lifetime Membership to first-time purchasers, and provides access to the secure membership area of this website, which includes special pricing offers, bonus materials, additional information, and more.